Alamo Drafthouse Yonkers, April 23, 2019. Bill Lustig in attendance. 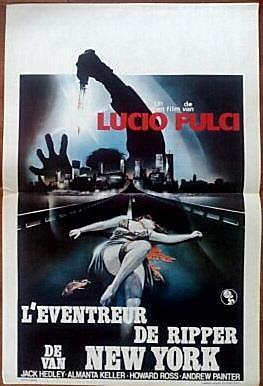 In Belgium, Lucio Fulci’s New York Ripper was released as “De Doder van New York” as evidenced by the cover of the VHS tape below (a promotional poster also exists). Multiple sources state that the movie was released in the Netherlands as “De Slachter van New York” but so far I have not seen any evidence of this online; no videocassette covers, no poster or other promotional materials, and a web search produces only a handful of items that do not reveal any more information. This short review (or more aptly, a description) of the New York Ripper in the Dutch newspaper Leidsch Dagblad of December 16, 1983 does use the name “De Slachter van New York” but whether the author refers to the title of the Dutch release is ambiguous. 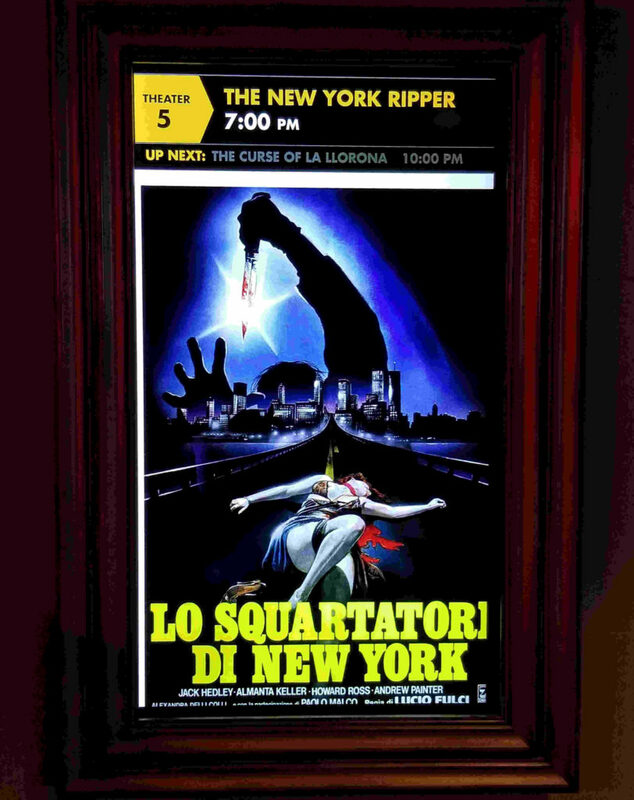 Further complicating matters is this rare, poorly designed, bilingual, poster from Belgium that features “De Ripper van New York” as the title. The atmospheric opening scene in Lucio Fulci’s nihilistic giallo masterpiece “The New York Ripper” (1982) starts with pan shots of the Manhattan skyline, the East river, and riverside Brooklyn with the urban sounds of traffic and police sirens setting the scene. An old man is walking his dog along the East River near Manhattan Bridge and starts playing fetch. A second throw lands the stick into the bushes but the dog returns with a decomposed hand instead, at which point the frame freezes and the music and opening titles begin. 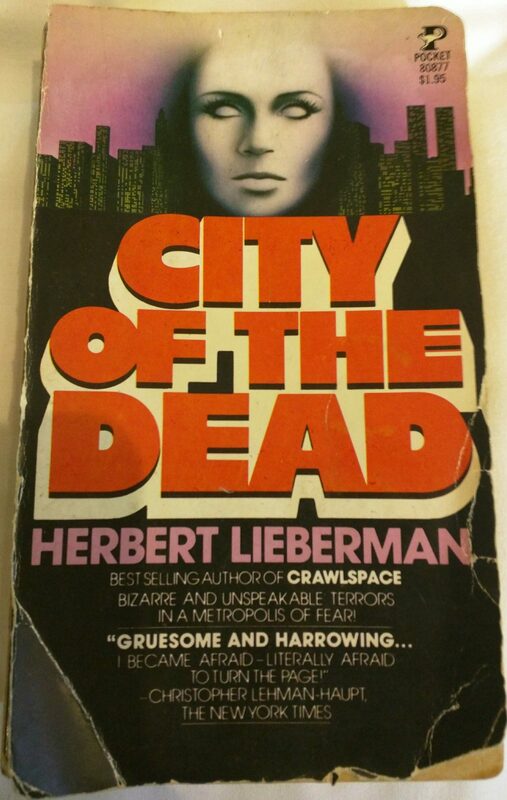 The cover design, ghoulish female face, and font type of the 1977 paperback edition of “City of the Dead” anticipate another horror movie; George Romero’s Dawn of the Dead (1978). But unlike George Romero’s zombie movie, Lieberman’s book deals with a grotesque murder and the psychological disintegration of New York’s Chief Medical Examiner of New York. This paperback copy was tracked down in Kuala Lumpur’s “Junk Bookstore” in July, 2015.